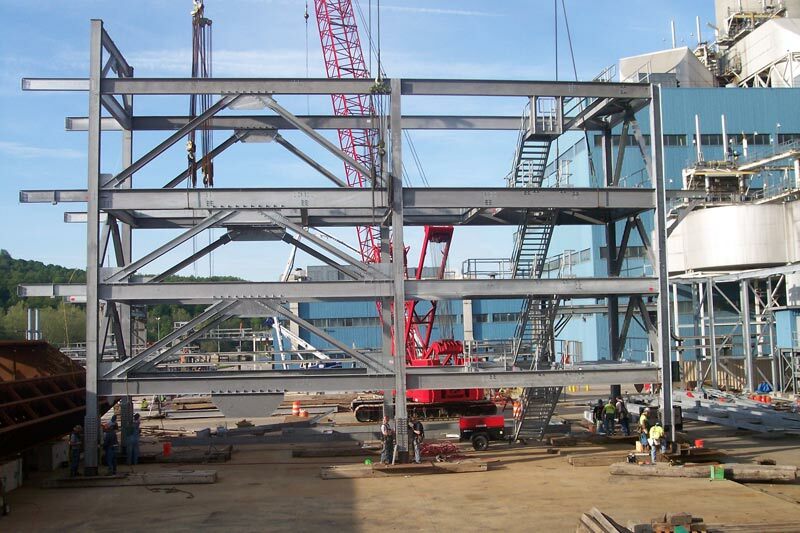 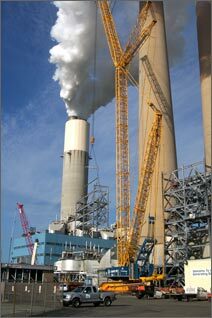 Working on SCR project in western Pa., setting steel and duct work. 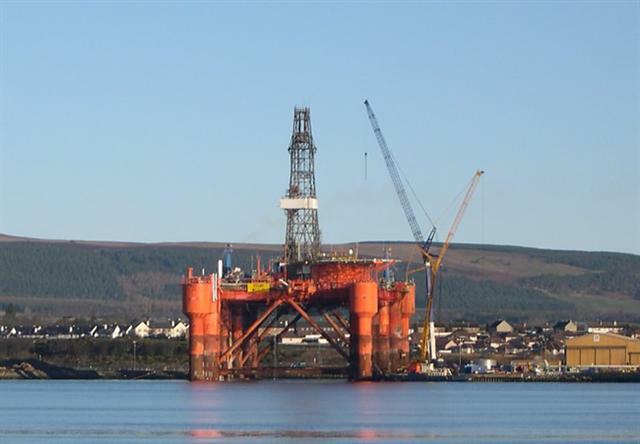 Port Services (Invergordon) Limited have completed the Load out of 450 tonne bouy for FPSO mooring systems utilising a Gottwald Akl680-3 and five assisting telescopic mobile from their own fleet. 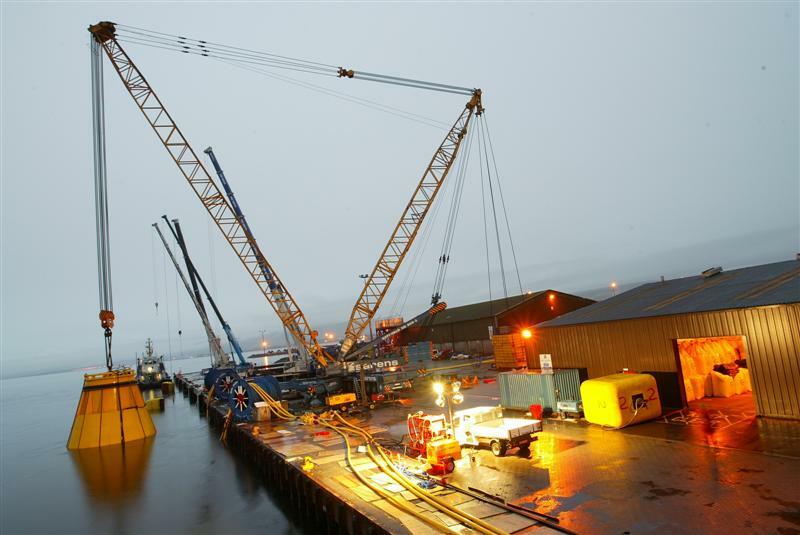 This completes a project that the logistics company has been working on with Saipem / Sonsub all year.The AK680-3 was supplied by Sarens Limited and Port Services heavy cranes division supplied a 500, 250. two 120 and 80 tonnes cranes to assist with the lift. 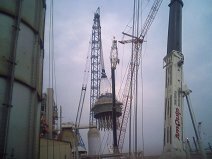 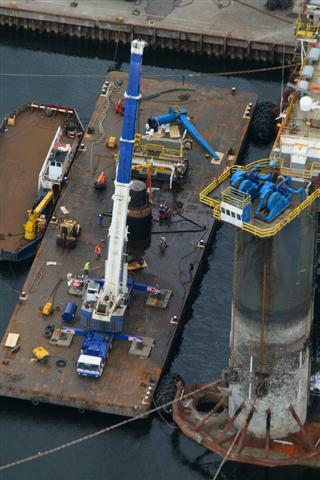 500 Tonne crane on barge removing thrusters on the Sedco 706 and also on hire to Port Services an Gotwald AK912 - 1200 tonne crane removing the derrick.All work coompleted by Port Services Special Projects Division. 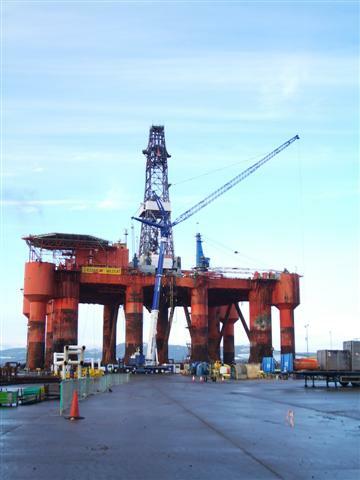 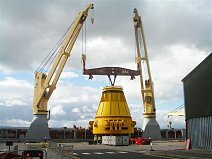 A Massive steel buoy was lifted from ship to shore at Invergordon, Scotland yesterday in the biggest single lift yet undertaken at the Scottish Port. 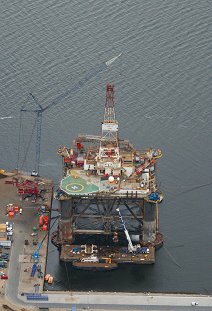 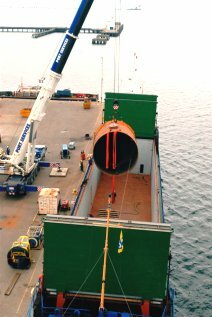 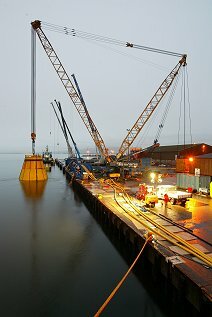 The Special Projects Division of Port Services (Invergordon) Limited - one of the leading logistic support service companies operating in the Cromarty Firth - handled the logistics of the manoeuvre as the 450-tonne offshore loading buoy was discharged on to the quayside using the vessel's own gear. 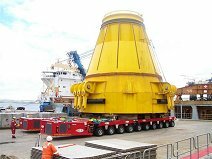 The company, will make modifications to the buoy, which is destined for the UK sector north sea later this year. 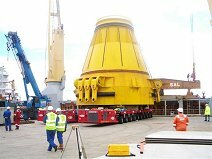 Port Services- Special Projects Division will then load the buoy back to the water using a AK912 – 1200 tonne crane. 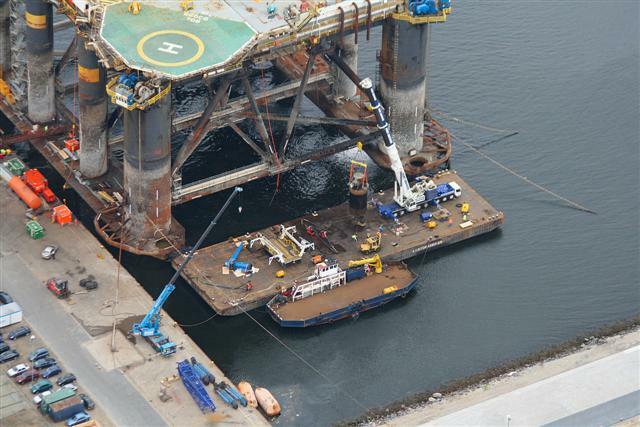 It will then be towed to the north sea. 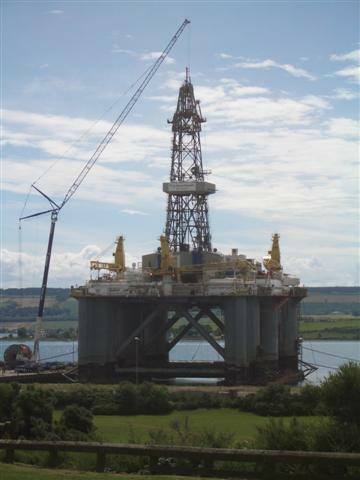 500 tonne crane with 77 meteres of luffing fly jin (blue) and 350 tonne crane with 48 metres of luffing fly jib (yellow) working on drilling rig Essar Wildcat, Invergordon Scotland. 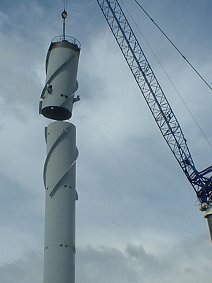 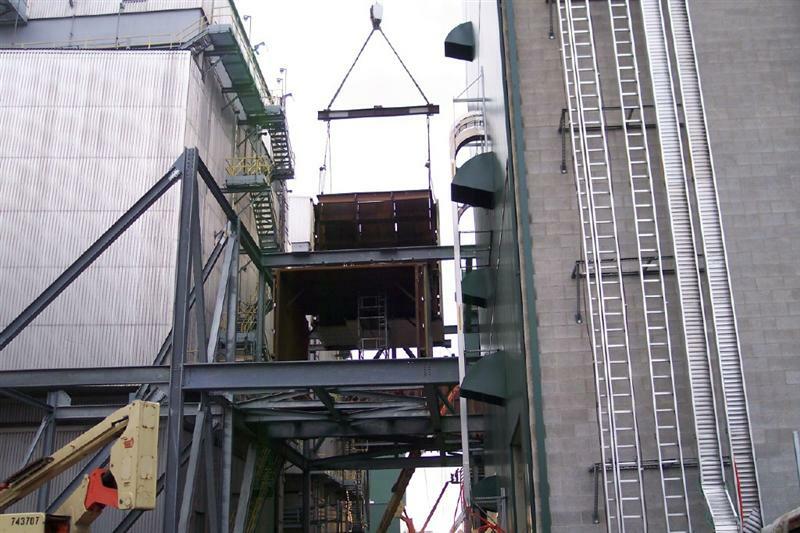 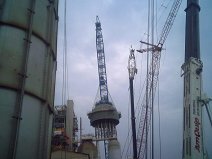 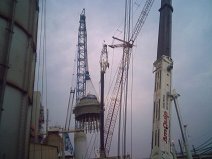 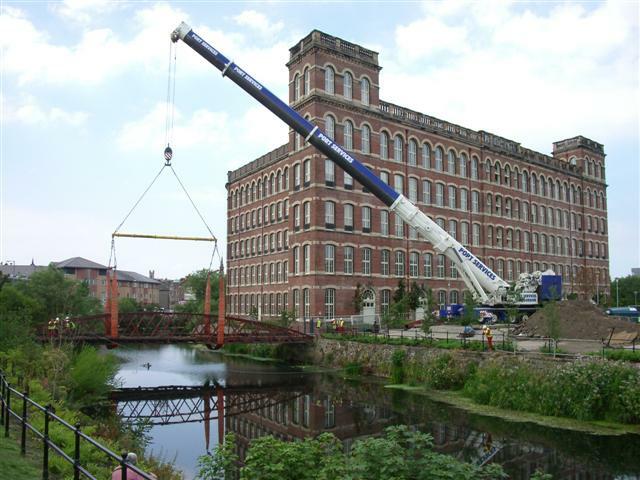 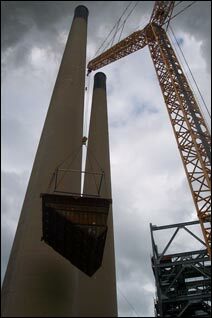 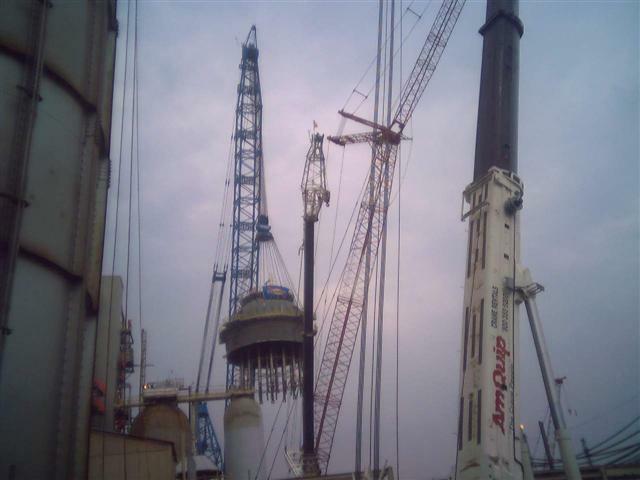 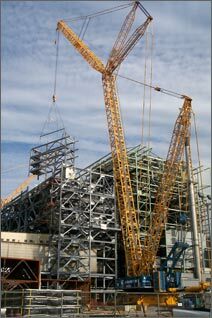 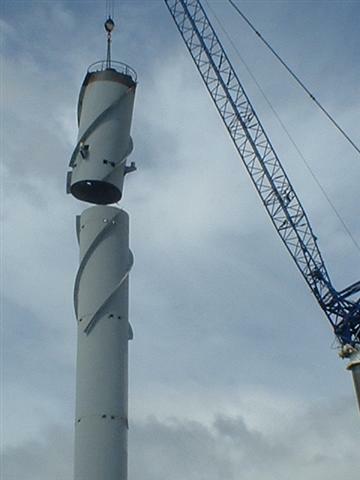 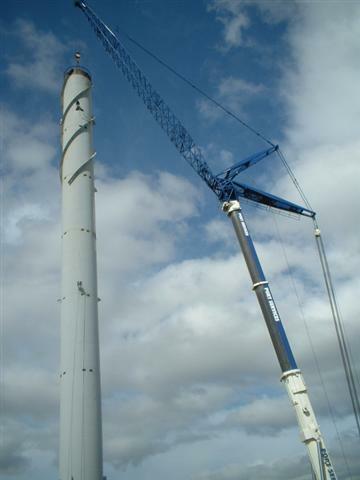 Below are some SUCCESSFUL lifts by Port Services Heavy Cranes in Scotland. 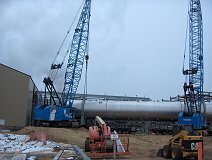 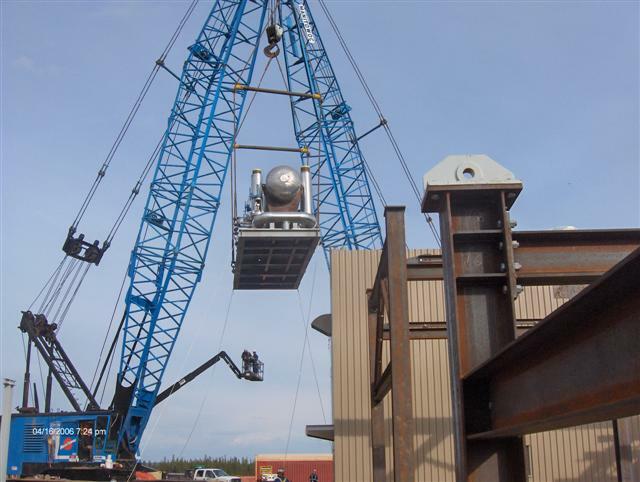 A couple of lifts with the 4100 Manitowoc at a heavy oil facility in northern Alberta, Canada. 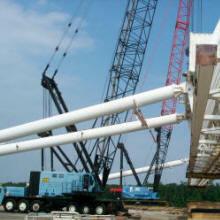 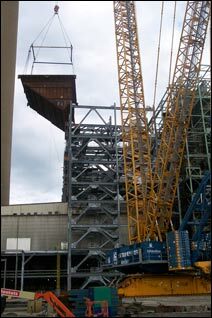 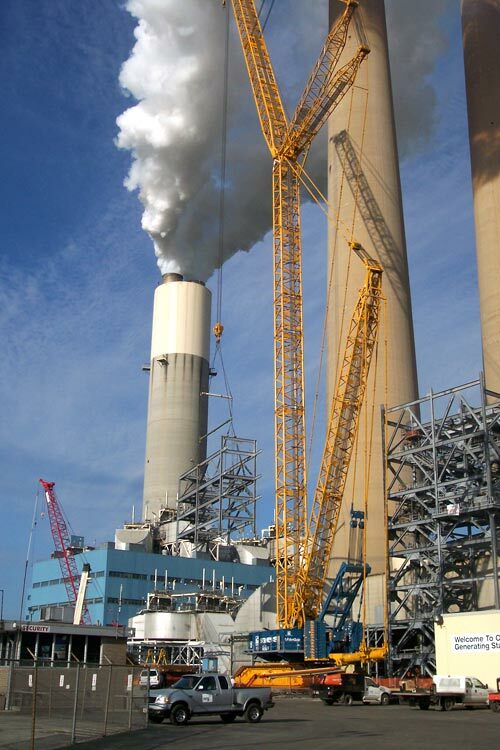 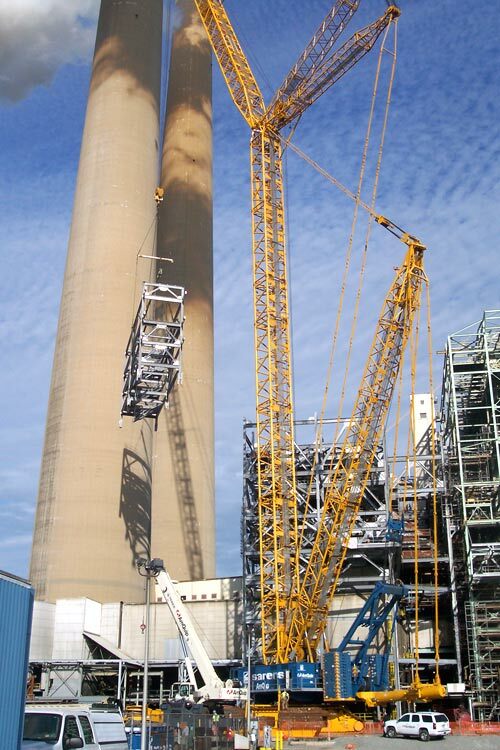 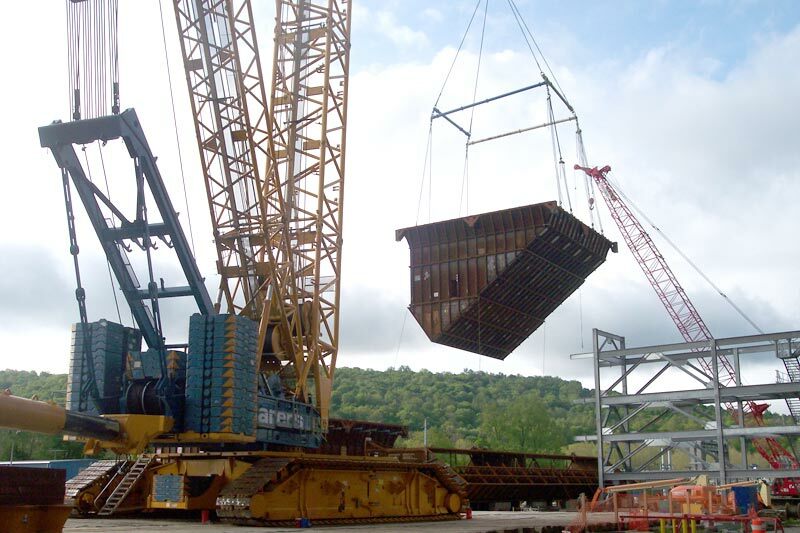 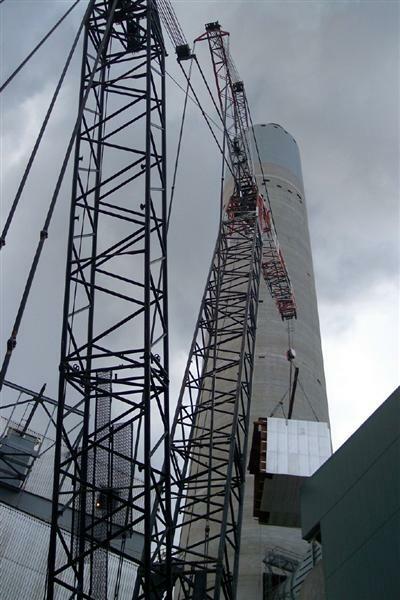 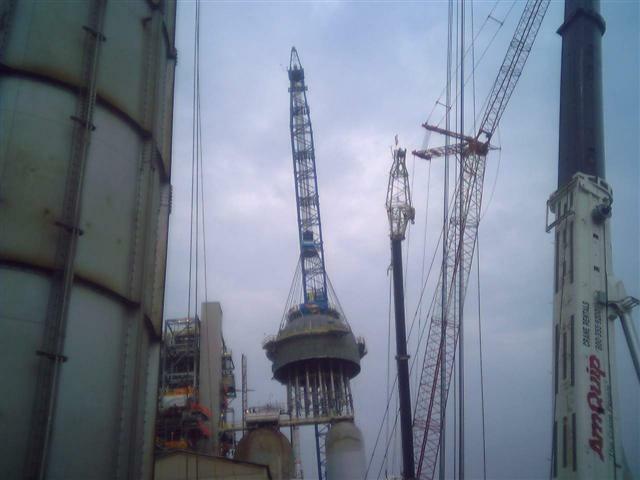 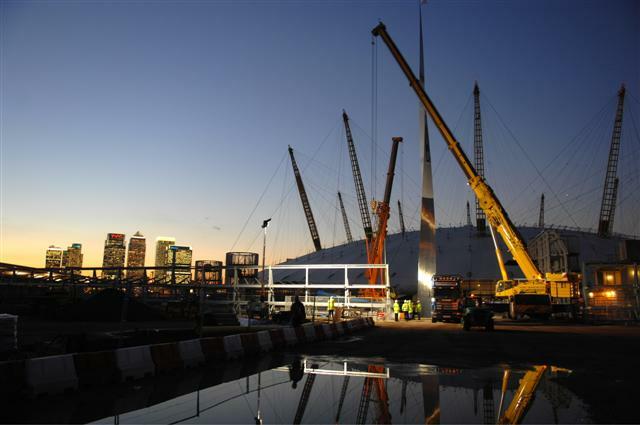 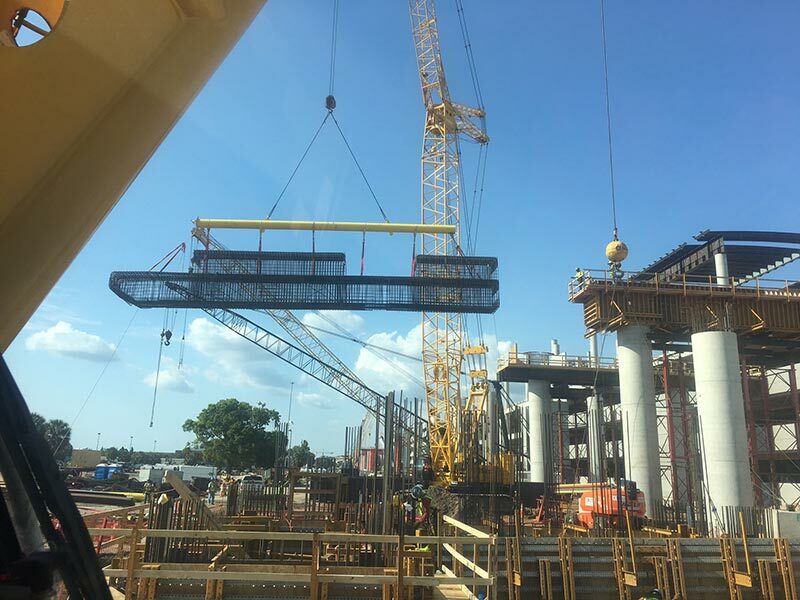 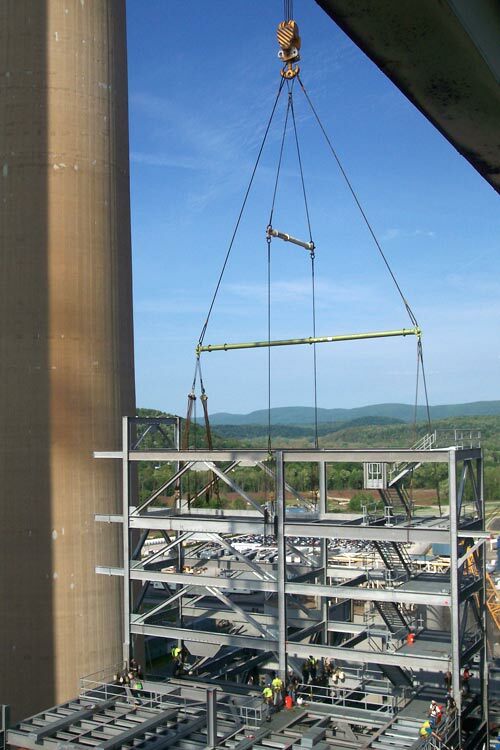 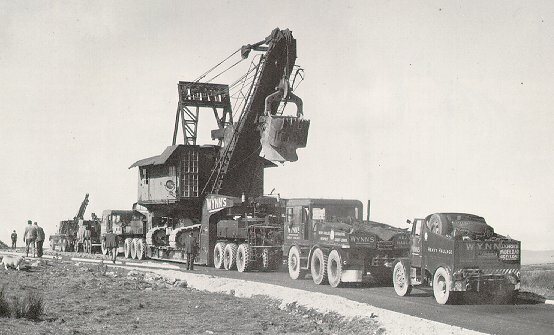 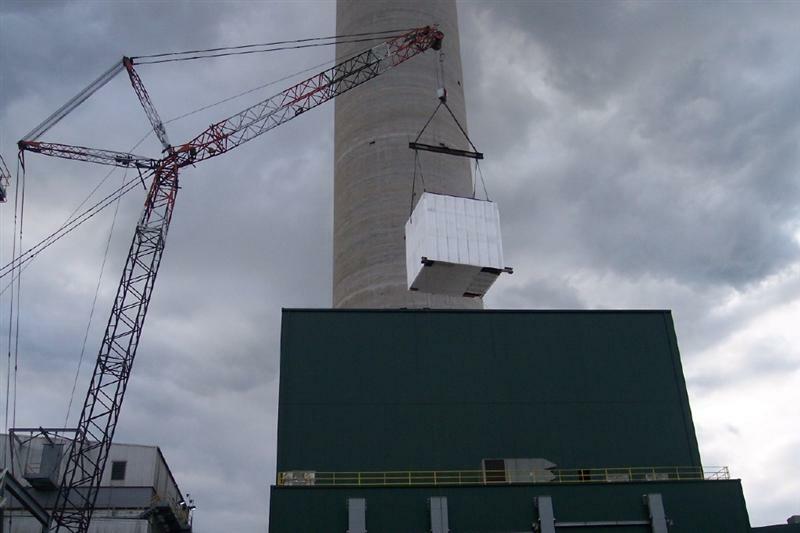 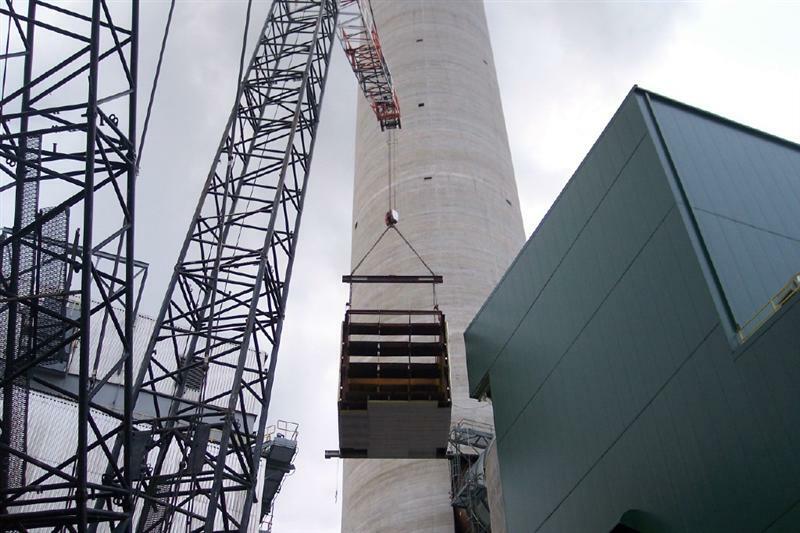 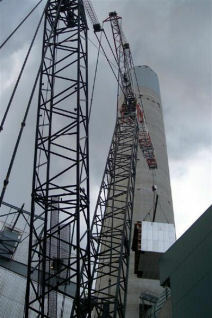 The first picture is a tandem lift weighing approx. 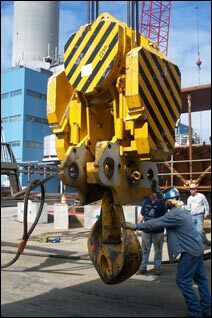 380,000 lbs. 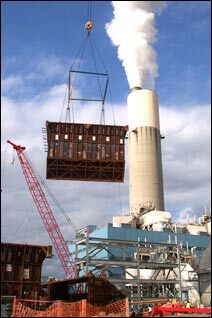 The second picture is a steam exchanger approximately 290,000 lbs. 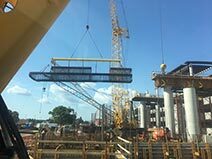 We had to hoist this exchanger 22ft. 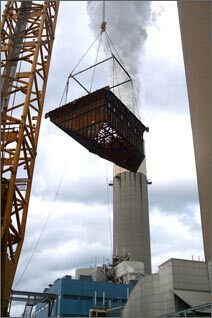 and walk with load while the second crane swung to it’s left to clear the peak of the building for it’s final resting spot. 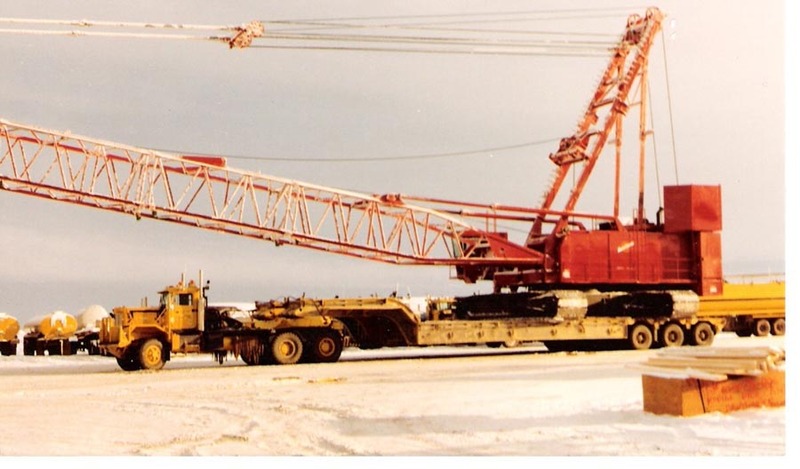 This is the 4600 Manitowoc Series 4 350 ton crane loaded on double wide loadboys with 190 ft of main boom, Back in the seventies I was running this crane when it was new and it is still running today on the North Slope, Alaska as good maintenance threw out all the years and it will run for many more years.